The best part of a baby shower is that you get to see all the people who really matter around you to celebrate one of the most joyous occasions of your life: the birth of your child. And the worst thing that can happen is to forget to invite one of the people who really count. With one of these baby shower gift list template, there won’t be a chance of such a mistake happening. baby-shower.com The template helps to frame the baby shower guest book in the easy possible ways. The guest list will be including the important contacts that are to be invited in the baby shower including the address as well as the phone contacts of the people who are to be announced in the shower. The template helps to frame the correct guest list of the people who are to be invited in the baby shower. With the help of the list no one can miss out any important person and also guest list will help to include every important person and also get the check list of the guest to be invited in baby shower. Using the help of the baby shower guest list one exactly note down all the important guest member that have to be invited in the baby shower guest list. The template gives the correct layout and the order of the guest list which is to be made and written in the right format. The sample provides the correct guest list of the baby shower that is to be included in the guest list. The sample will be including the baby shower guests that are to be invited in the baby shower. With the help of the baby shower getting the exact format and the content which is to be framed becomes easy. These premium free samples will help you keep track of who’s invited, who has RSVP’d, and everything else you need to keep up with your guest list for your wedding or baby shower. Just download, fill up the list templates and print it out. Make sure that your event planners, caterers and anyone else who needs one gets a copy. 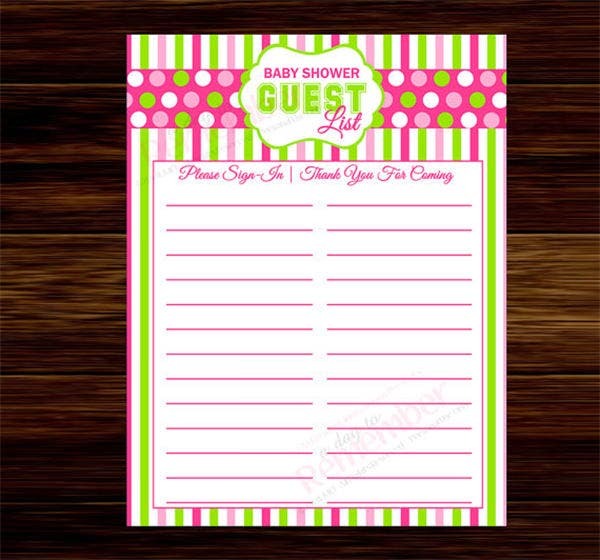 > Why does One Need a Baby Shower Guest List Template? The template provide the exact idea about the important things that are to be included in the guest list a guest list just include the name, address as well as the contact that has to be written in the columns provided in the sub headings. 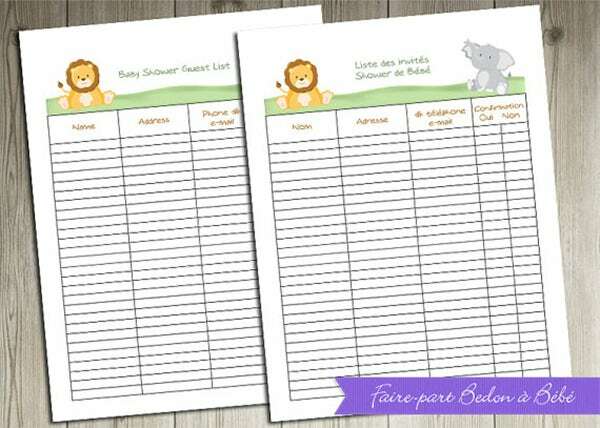 Using the help of the baby shower guest list template framing the baby shower guest list becomes a really easy task by saving a lot of time as well as a lot of work load becomes lessen. 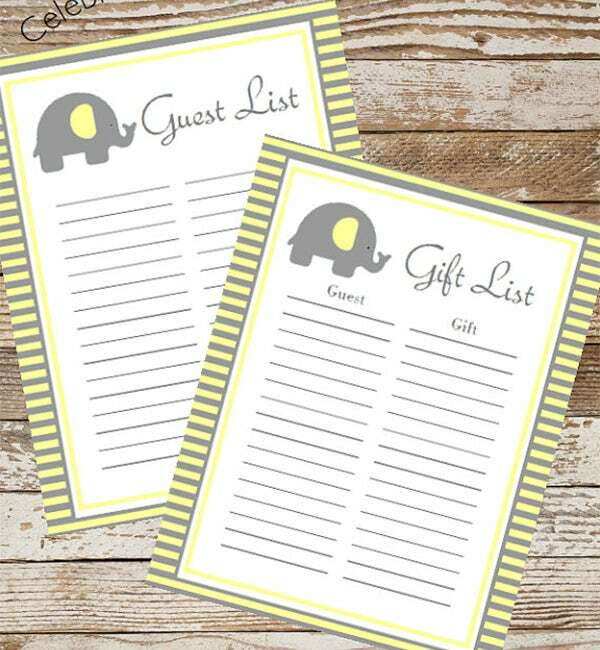 > When does One Need a Baby Shower Guest List Template? Baby shower guest list should include all the important things and also the persons too. The baby shower guest list template gives the correct layout and also the format in which the guest list has to be made. 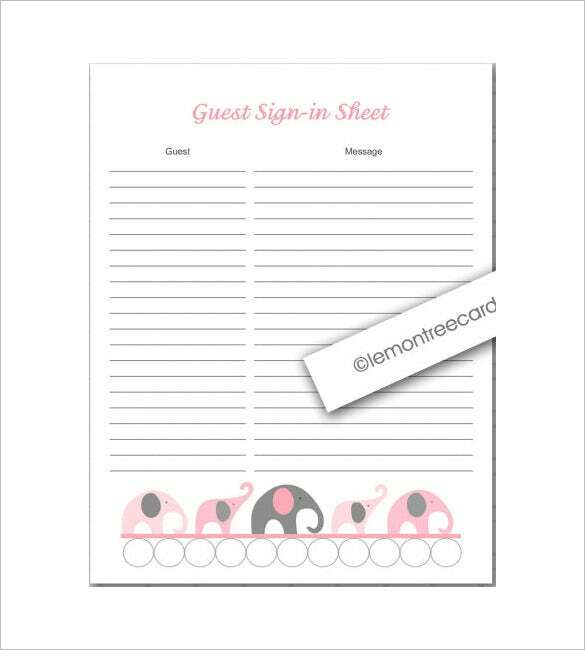 The correct format of the guest list can only be drawn with the help of the baby shower guest list template. Using the template will save a lot of time and also it will lessen the work load and one can save a lot of time if depending upon the guest list template. The template helps to save a lot of time It lessens the work load and also crafts out the best guest list in the exact and important details. The template helps to lessen the work load and also makes the work perfect and quick too. All the members who are to be invited in the baby shower are easily added and no person is ever missed too. 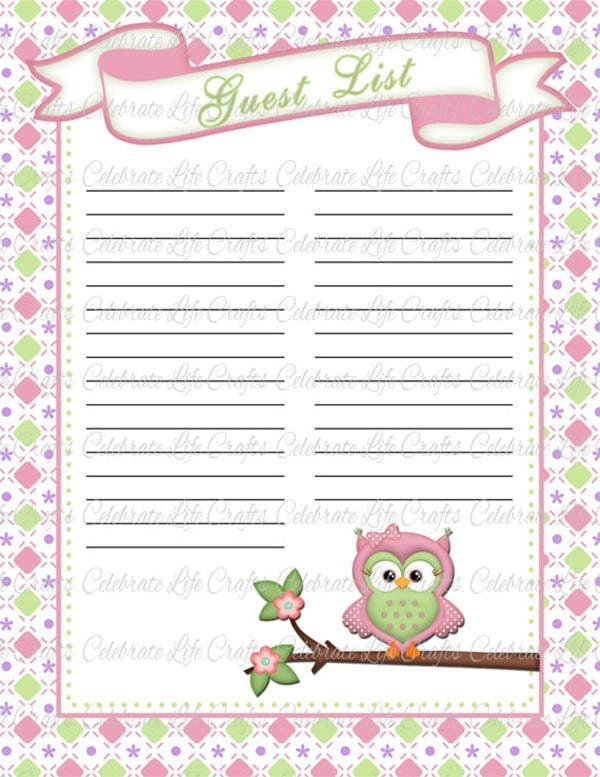 Using the baby shower guest list template framing the correct format of the baby shower list becomes easy. 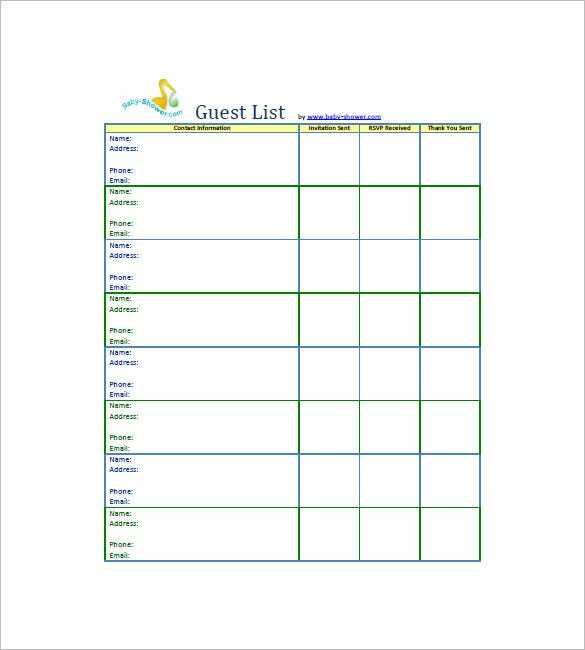 The template helps to make the structure of the guest list easy and also include the specific details of the person to whom the invitation has to be sent. The template helps to structure the exact layout for the list. If you have any DMCA issues on this post, please contact us!